I have heard amazing things about Neil Gaiman. He is the author of Coraline and I loved the movie so much. I am really interested to see his spin on Norse mythology. Thank you so much to Jonathan Ball Publishers for providing me with a copy of this book to review. Just a small disclaimer for those reading this review. I have received this book for free. Please note that this does not affect my opinion in any way. All thoughts are my own. I really enjoyed the writing. It made the content seem lighter than what it was. It also had a really good pace. It allowed the reader to cruise through the book. It wasn't a style of writing that I typically enjoy but it was fun. 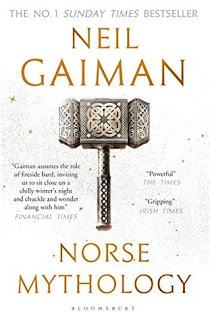 Gaiman really made somewhat academic information into a story that is easy to digest and connect to. In Gaiman's introduction, he states that he chose certain stories to create a linear timeline and he did a really good job of this. We got to see the creation of the Norse mythology world which included the birth of the universe and the gods we sort of know today. It was interesting to see the mythology that the Norse people created as the belief system. It allowed people to learn more about a subject that has been "tainted" by the Marvel universe. I thoroughly enjoyed how everything seemed to fits almost perfectly together. 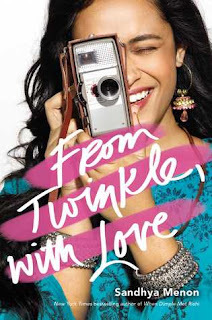 Overall, I really enjoyed this book. I definitely think that you could use this as a resource to some extent seeing as it is based on Gaiman's own research. It is something that just about anyone can read with the intent of enjoyment and research. The writing was like a cruise boat. I just seemed to progress through the book quite easily. The content was rich and enlightening whilst still being a lot of fun. 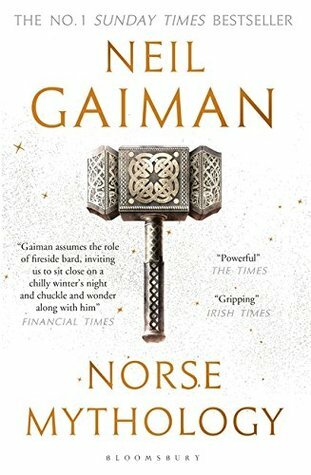 I think that Gaiman has done a fantastic job with this book and I can't wait to read more. Thank you so much to Jonathan Ball Publishers for providing me with a copy of this book!